Do You Have Unpaid Taxes? Contact our Tax Resolution Law Firm Today! Our Tax Dispute Law Firm is experienced in all cases involving tax resolution, tax dispute, and general issues relating to IRS tax and debt relief. The attorneys at our law firm, are extremely knowledgeable in the local, state, and federal tax code, and can help you today! We offer legal advice for clients throughout Michigan, Oakland County, Wayne County and Beyond. If you have an IRS tax case do not hesitate to call us today. Let’s get started rebuilding your financial security. Unpaid Taxes Must be Addressed Immediately! Do you have unpaid taxes and owe money to the IRS or to the State of Michigan? Handle your tax problems today by calling our greater Detroit metro area office and let our experienced and professional tax attorneys provide assistance. Have you received a letter from the IRS and don’t know what to do? Call our premier tax problem resolution attorneys. Our no obligation consultation will put you on the right path. Let us protect your immediate and long-term tax needs. 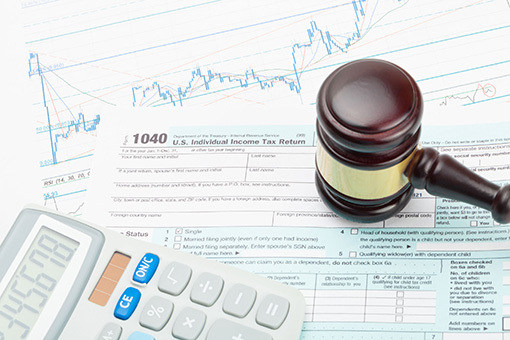 Let our experienced Michigan lawyers represent your case and solve your tax problems. Your tax debt solution is just one phone call away. Ease your mind and let us help you settle tax debt. We handle State of Michigan and IRS tax problems. When you have unpaid taxes, depending upon your situation, the IRS may impose fines and penalties. Even jail time is possible, if you cheat on your taxes or lie to an IRS tax collector. However for unpaid taxes, there is no jail time. Four resolution options: 1) hardship suspension; 2) installment agreement; 3) bankruptcy, last resort; 4) Offer in Compromise (OIC). The OIC is a deal with the IRS. If you qualify, a smaller payment may be accepted, tax liens are removed, and you are given a chance to start over. Consult with our tax problem resolution attorneys about an OIC. The IRS tries to work with taxpayers to collect unpaid taxes. Don’t ignore IRS notices. If you are meeting with the IRS, don’t go alone. For professional representation, contact our IRS tax dispute law firm to represent your tax debt case. Even if you owe unpaid taxes, you should still file an annual tax return and pay as much as possible to avoid additional penalties and interest. The IRS has several payment options to settle your tax debt. If you cannot pay by the due date, there will be a late payment penalty of ½ to 1 percent of the amount owed for each month that the tax debt remains unpaid. Pay as much as possible by the payment due date until your tax debt is fully resolved. Visit our greater Detroit metro area offices and allow our skilled tax resolution attorneys in Oakland County, MI, or Wayne County, MI, assist you with your tax problems. If a taxpayer qualifies, the IRS Fresh Start program helps to resolve unpaid taxes and avoid tax liens. The Fresh Start program is available to individuals and small business owners. Explore all available IRS payment options. Just call, let our skilled Michigan tax attorneys help you to resolve your unpaid taxes and settle your tax debt with the IRS.